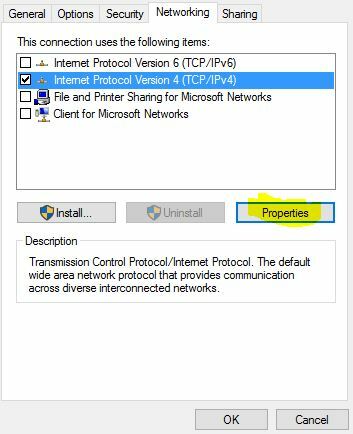 On some of our windows 10 computers we are not able to change IPv4 properties for VPN client connections using the GUI anymore. Clicking on the properties button just does nothing: no error message, nada. And no, the button itself is NOT disabled. This is kind of annoying because we must disable the „Use default gateway“ option for our VPN connections to work properly. As a workaround, until there is a fix available from Microsoft, and because PowerShell is our friend, we configure this (or other) options via PowerShell.